HONG KONG, February 5, 2018 (ENS) – The Hong Kong Legislative Council has voted to pass a bill that will end local ivory trade in Hong Kong by the end of 2021, with no compensation for ivory dealers, and an increase of maximum penalties for wildlife crimes of up to 10 years imprisonment. The decision, approved Wednesday, will close a trade that brought the city notoriety in the 1970s and 1980s as the world’s foremost supplier of worked ivory products. “Today’s decision is another milestone for the conservation of elephants, and should serve as further encouragement for governments in the region to put an end to the domestic ivory markets that fuel the poaching crisis,” said James Compton, senior program director, Asia Pacific, with the wildlife trade monitoring network, TRAFFIC, based in the UK. “Hong Kong’s legislators should be congratulated for choosing to stand on the right side of history,” Compton said. The latest Hong Kong government figures suggest that there are still 64 metric tonnes of ivory remaining in the territory. Hong Kong’s decision to ban ivory trade by the end of 2021 marked a critical milestone in the protection of Africa’s elephants, wildlife campaigners say. Concerns remain that the closure of Hong Kong’s ivory markets will not occur now all at once, but will be implemented in phases between now and 2021, allowing the ivory trade to continue for the next nearly four years. The amended law will ban the trade in elephant trophies immediately, while an end to ivory imports and exports will follow three months after the law takes effect. Commercial trade of ivory within Hong Kong can continue until the end of 2021, after which all ivory trading must cease, with the exception of the trade in antique ivory carved before the year 1925. 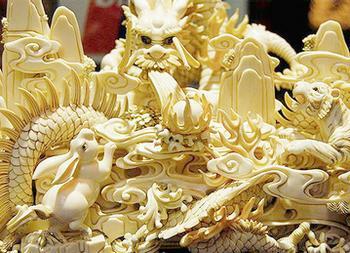 This leaves a gap of four years between the closure of ivory markets in Hong Kong and mainland China. On the mainland, all registered ivory outlets were closed at the end of 2017. “Hong Kong and mainland China’s ivory markets have long been closely linked, but the disparity in policies between them could lead to the perception of Hong Kong as an open store in the midst of a curfew,” said Tom Milliken, TRAFFIC’s Elephant and Rhino Program leader. “Close regulation and monitoring is essential to prevent any laundering of ivory to the still open markets in Hong Kong, which would seriously undermine efforts in mainland China to implement its ivory trade ban,” Milliken warned. TRAFFIC’s recently published report “Closing Strategy: ending ivory trade in Hong Kong,” encouraged the Hong Kong SAR Government to implement measures to elevate its capacity to tackle ivory trafficking. The report suggests including co-operation with other law enforcement agencies, especially in mainland China, to boost investigation and real-time intelligence sharing. The TRAFFIC report recommends a rapid implementation of an ivory ban alongside measures to improve oversight, record-keeping and transparency of the trade in registered ivory. Measures include the need for labeling of ivory products and display of licence notices to be strictly enforced to minimize confusion for consumers about the legitimacy of ivory products and outlets. Active monitoring of the trade is encouraged with monthly reporting of transactions by licensed ivory dealers, as well as increased transparency through annual publishing of data from the government on Hong Kong’s remaining ivory stockpiles. China’s ban on the sale and processing of ivory, which came into force on December 31, 2017, is having an effect on businesses in the sector. At the end of last year, the Guangzhou Daxin Ivory Carving Factory in Guangdong province employed 30 ivory carvers, but 18 became redundant in January, leaving just 12 full-time employees. The factory is one of about 150 ivory processing and retailing facilities in mainland China that were ordered to cease operations at the end of last year. 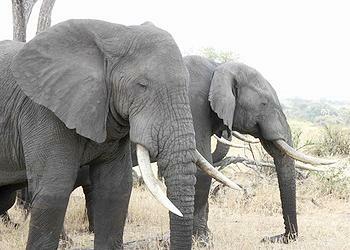 The decision by Hong Kong now leaves Vietnam and Thailand as the most active markets for trade in elephant ivory.